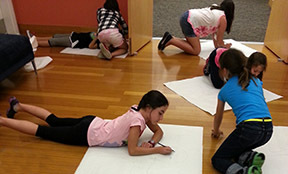 The Harn Museum of Art offers Art Camps for kids during school breaks. Each camp offers gallery explorations, art instruction and fun art-making projects. 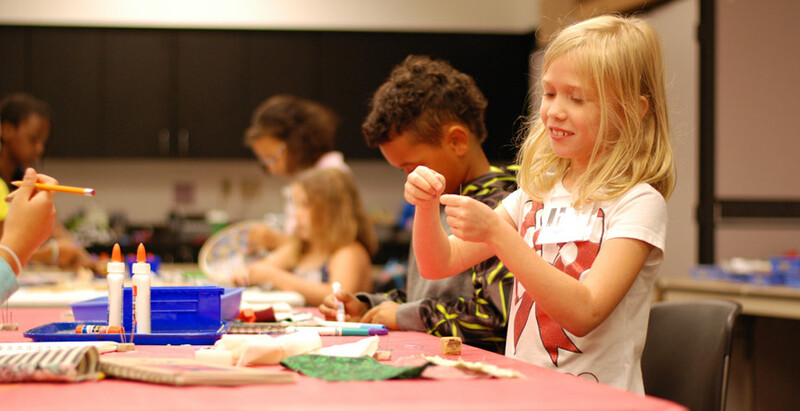 From photography to sewing, a variety of themes and art activities will be offered for children ages 7 to 11 during these weekly full-day camps. For more information about individual camps see below. Look through the lens and discover the art of photography. Capture your creativity by exploring photo transfers, sun prints, camera-less techniques and more! Who are YOU as an artist? Use your unique vision to create sculptures using clay and paper mache. Students will learn both two-dimensional and three-dimensional art practice and vocabulary. We will create four main projects that focus on the theme of Humans and Environment. Want to turn your drawings into handmade prints? From block printing to screen printing, learn a variety of printmaking techniques! In this session we will make a variety of prints to share with family and friends. Twist, tie, fold and knot! Join us as we weave our way through the museum to gather ideas to inspire our art making process. Get inspired! In this session we will use a variety of sewing techniques and inspiration from the museum to create our very own Sew Cool projects. Stretch your creativity with Book Arts! Experiment with paste paper patterns, accordion structures, 3D Hexaflexagon constructions, and building simple style books. We will focus on folding techniques, stenciling and collaging. Play with art materials! We will look, see, find and discover our way through the museum to create inspired works of 2-dimensional art. Contact Paige Willis at 352.294.7062 or via email: register@harn.ufl.edu. View projects by our Spring Break Campers on the Harn Paper Play Blog. It was the combination of instructor and techniques that made camp such a good experience.